To answer the question, 'what is VPN', we need to look past the Internet's many benefits and accept that using it may expose you to online security threats. As wireless use and Internet activity rapidly increase, so does our vulnerability to unauthorized intrusion. Despite the risks, using a public wireless network is reliable, much cheaper and more convenient than connecting computers with lines. It's more important than ever to keep your online activity private and secure. A VPN will do this. Understanding 'what is VPN' will help you achieve this. A Virtual Private Network (VPN) provides a secure connection to protect your online data transactions when you use the Internet, WiFi hotspots and other public networks. A VPN can keep your data and your 'Internet address' private. It can keep your information secure from unauthorized access; intrusion that may include hacking, hijacking, cracking, wireless sniffing, wire tapping, spying, snooping, spamming and cyber theft. The bottom-line benefits come down to online 'peace-of-mind' and freedom. A good VPN service provides this and its benefits listed below define the answer to the question 'what is VPN'. What is VPN and how does it work? Think of it as a private and secure 'communications tunnel' between you and the server you want to connect to. A 'tunnel' that shields and protects your private information, as it's routed through a public network, where it could be exposed to hackers and eavesdroppers. The graphic depicts red arrows from a cyber attack deflected from the tunnel walls while the packets of information (broken black lines) pass through the tunnel unaffected. When you use the Internet you have an IP (Internet Protocol) address. 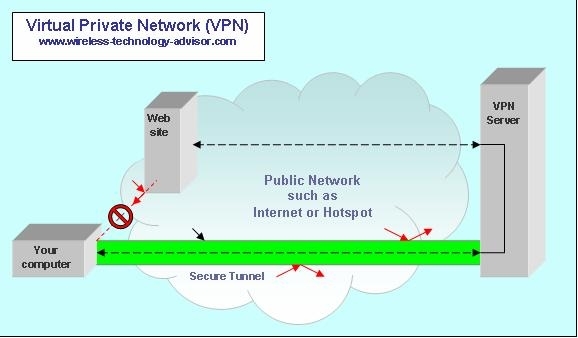 A VPN protects you by putting a VPN server (a dedicated computer with VPN software running on it), with a different IP address, between you and the website you want to access. Others can't 'see' your IP address as it's hidden behind the VPN server's address. It effectively makes you anonymous on the web. What does a VPN do to your data? The encapsulated, encrypted data packets pass from router to router, virtually tunnelling through the public Internetwork between you and the VPN server. The data packets are decapsulated and decrypted at the receiving end to recover the original information. The VPN server and you (the client) must use the same protocol to be able to 'understand' each other. What is VPN's advantage over antivirus protection? The main (but not the only) difference is Antivirus software protects your computer whereas VPN protects your data transactions across a network . It's best to have both as viruses can be transferred offline, for example via a memory stick..
What is a good VPN service? While there are some free services available, these might not provide adequate protection. The software may not be adequate. Therefore it might not deliver the level of protection you require when you connect to an unverified website, or access your company's Intranet from home or when you're mobile. does it support multiple users? does it support different computers? is there a limit on the amount of data? will it be fast and secure enough? is its customer support adequate? How many clients does a 'single account' licence allow on the network at one time? Family Network - Five clients is a good number for a family Wireless Local Area Network (WLAN) using a wireless router as an Internet access point. Corporate Intranet - Licences for a larger number of clients are needed for a Company, but cost more. The VPN supplier will provide a private server, if there are sufficient clients to warrant it, and set it up exclusively for a specific company or group. In this configuration a tunnel would be created to go between the two VPN servers. Some VPN suppliers do 'cap' the data. What is VPN data capping? Some services allow unlimited data at speeds that would let you stream videos. Providers of free VPN would have to limit the data since more data costs more money. You use a lot of data when you watch movies online and it is sent at a much faster rate than say the data rate you'd need to play online audio only. If you are 'a heavy data user', use a fast VPN service that offers unlimited data. If you intend using a lot of data, you may find that a 'data-limited' VPN service suddenly interrupts a movie because you've used up your day's data allocation. An unlimited data service avoids this. Speed and security are linked. Higher security means slower speed and vice versa. So you can still have fast VPN when you have high security. It takes a little extra time to encapsulate and encrypt the data. Encapsulation and encryption makes the packets 'bigger' and because of this extra 'packaging' it increases the travel time and the amount of data that has to be sent. 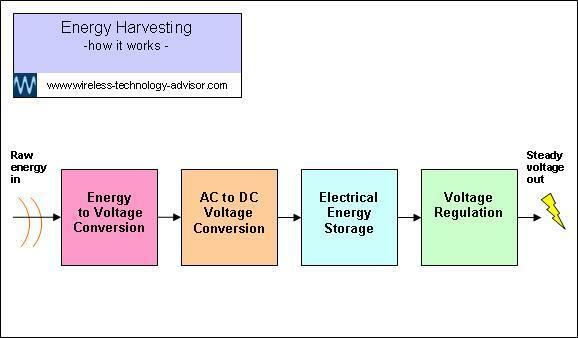 Similarly at the receiving end it takes time to decapsulate and decrypt to restore your data to its original form. Therefore, 'useful' (non overhead) data transfers at a slightly slower rate. A higher level of security requires a higher level of encryption and more time to transfer the data. The highest security level uses 256-bit encryption and Open VPN Protocol. This is perhaps 30% slower than the 128-bit IPsec Protocol, but Open VPN is far more secure. How secure is this encryption? VPN encryption is a type of code. Without a combination key no one can unlock your information and there are a lot of combinations. Maximum encryption levels are usually specified in bits. Typically 128-bit or 256-bit. 256-bit is not twice as good as 128-bit, as you might assume. The difference between them is huge. What's a bit? A bit is a binary digit. on or off... 0 or 1. How many combinations does encryption give? How many does 128-bit encryption give? How many does 256-bit encryption give? Add another 38 zeros to the end of the number above and that will give you an idea. Without the 'unlocking combination' there's currently no technology on the 'foreseeable horizon' that could 'try' this many combinations in less than 'an eternity'. Even 128-bit gives more than adequate protection. What is VPN security level selection? If you need extra speed, and you trust the site you want to access, you may be able to reduce the security level for that session. Some may also offer a 'split-tunnel' service so you can run a high security tunnel (say to your work Intranet) and a lower security tunnel (say to the public Internet) without having to keep changing security settings. 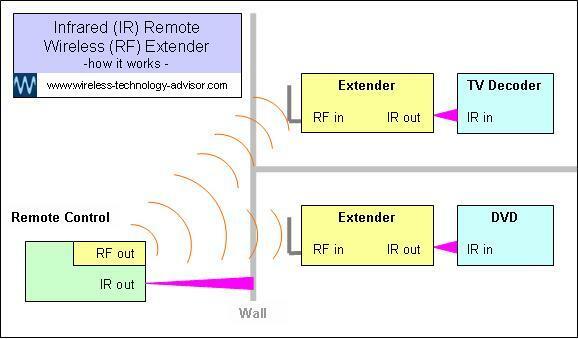 Routers direct data packets through the network. The more routers the data has to pass through, the longer the transit takes. The transfers (and indeed the individually-addressed packets) may not always take the same path to their destination, a bit like when a conventional mail courier van strikes roadworks, it will take a different route to bypass them, but the mail will still get to the right address. The route can depend on how much data traffic there is on the network at the time, and other factors. And if a VPN detects an intruder, it can re-route the tunnel to avoid it. This would enable you to select one that best served your speed expectations. A service with VPN servers in many countries would provide this choice. What is VPN customer support worth? A lot... if and when you need it. Look for quality VPN services that are straightforward to set up for seamless and trouble-free operation. If you have a problem it's important to know that you have 24/7/365 customer support available to you as part of the service. Think about what you stand to lose from a 'cyber attack', Minimize your risk with a good VPN service. This will provide the highest level of protection you can get. Go from What is VPN to How Does Wireless Internet Work?